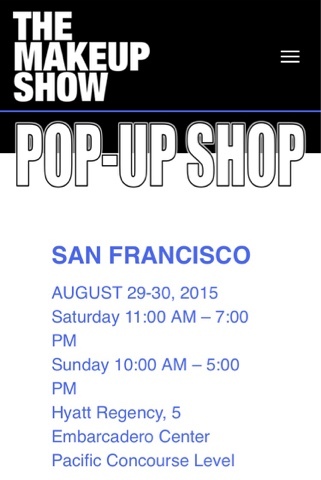 This coming weekend The Makeup Show will be having a Pop-up Shop in San Francisco! The event will be taking place on August 29 and 30 at the Hyatt. I will be attending this weekend. I am super excited! I've been to a lot of other beauty events over my blogging years but never to The Makeup Show. I live in Northern Central California so I usually have to travel down to L.A. for beauty events. I'm happy that we are getting an event up here in Northern California. 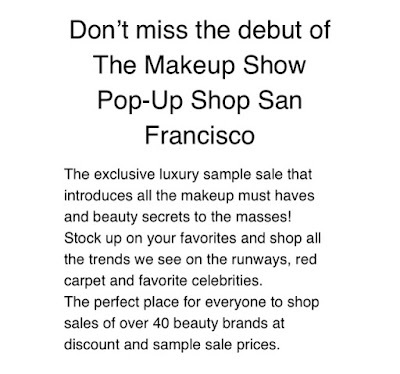 Anyone can attend the Pop Up Shop this weekend, so if your a beauty enthusiast you better get your tickets now! 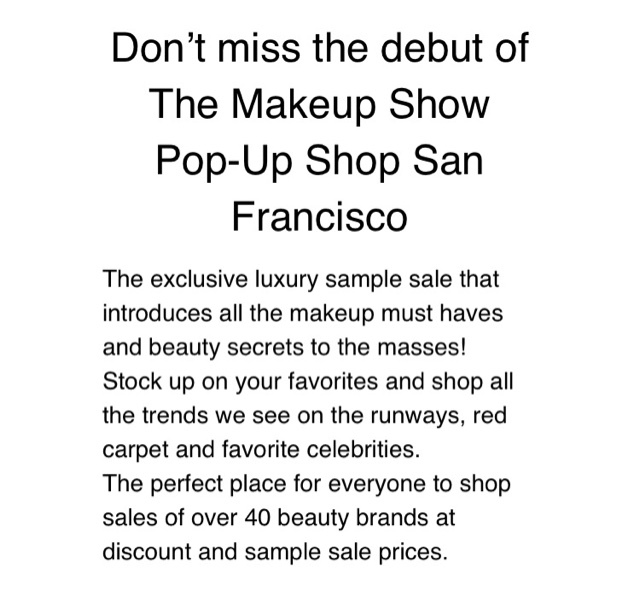 Tickets are on sale and can be purchased at http://www.themakeupshow.com/europe/tickets/ . One day tickets are $28 and two day tickets are $44. You can use the code BEAUTYLISH30 to receive 30% off your tickets.